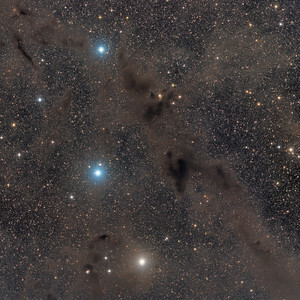 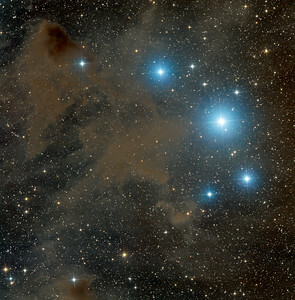 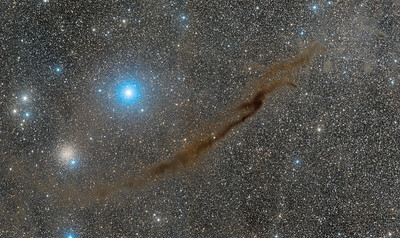 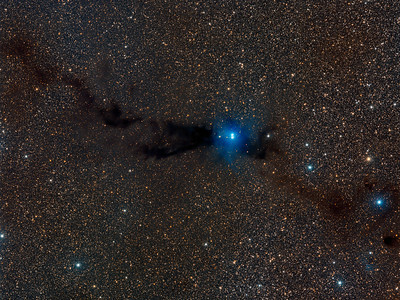 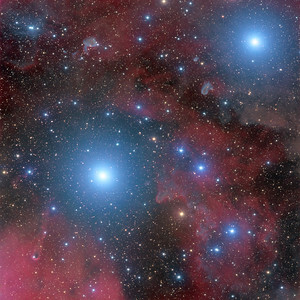 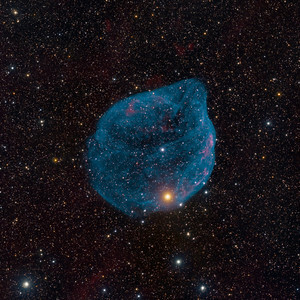 A mere seven hundred light years from Earth, in the constellation Aquarius, a sun-like star is dying. Its last few thousand years have produced the Helix Nebula (NGC 7293), a well studied and nearby example of a Planetary Nebula, typical of this final phase of stellar evolution. 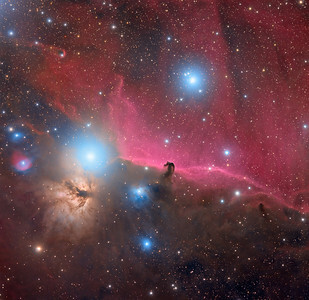 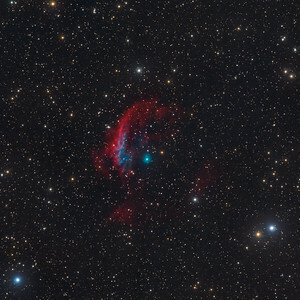 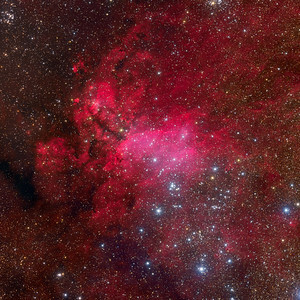 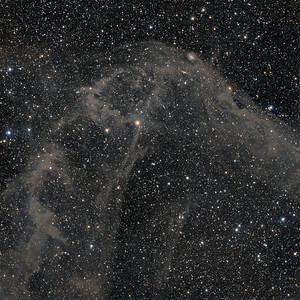 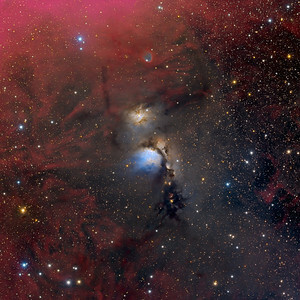 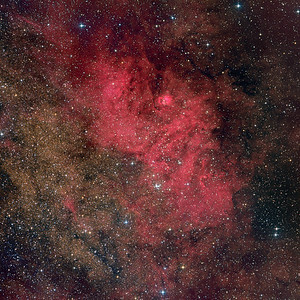 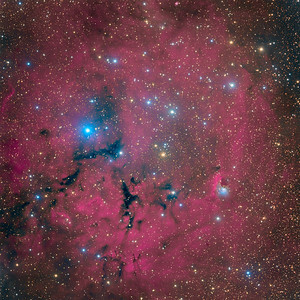 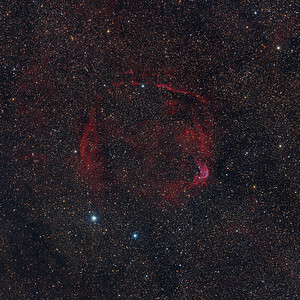 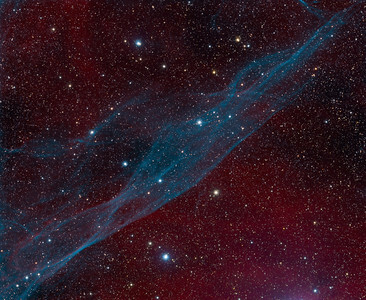 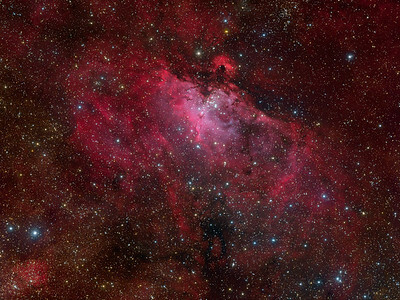 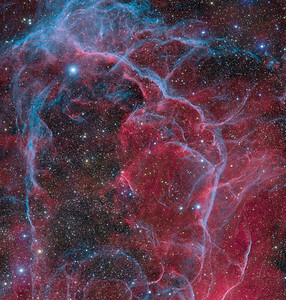 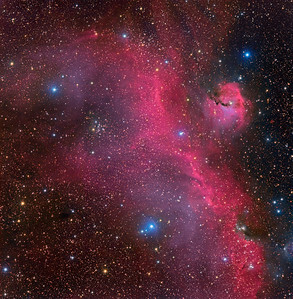 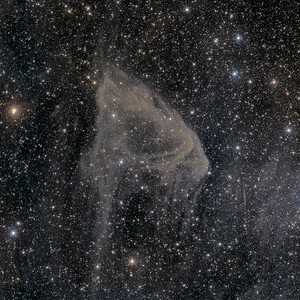 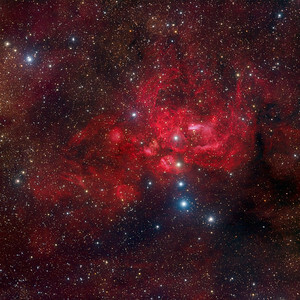 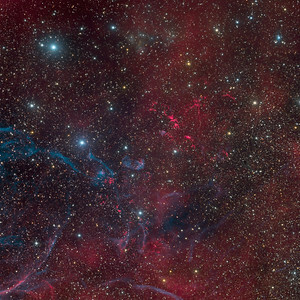 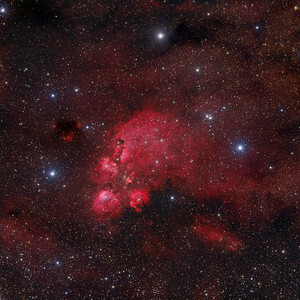 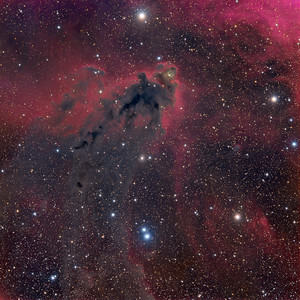 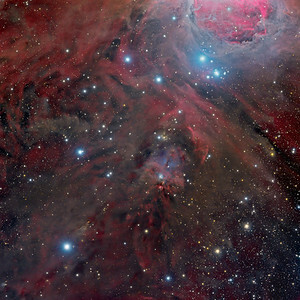 A total of 16.5 hours of exposure time have gone in to creating this deep view of the nebula. 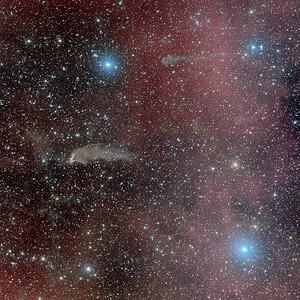 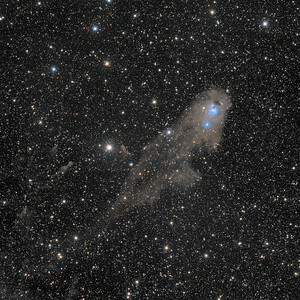 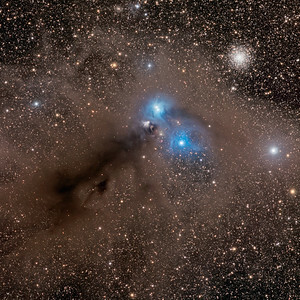 It shows details of the Helix's brighter inner region, about 3 light-years across, but also follows fainter outer halo features that give the nebula a span of well over six light-years. 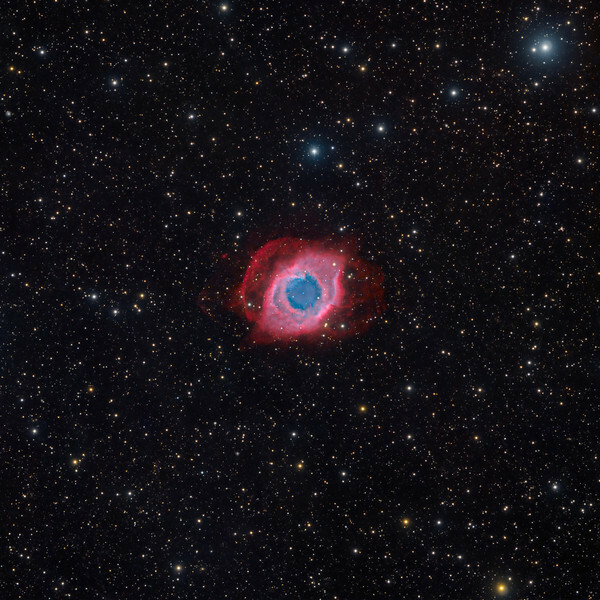 The white dot at the Helix's center is this Planetary Nebula's hot, central star. 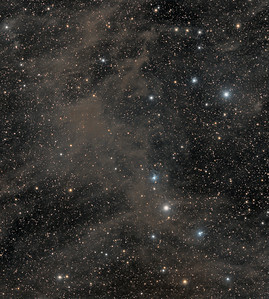 A simple looking nebula at first glance, the Helix is now understood to have a surprisingly complex geometry (text adapted from APOD).